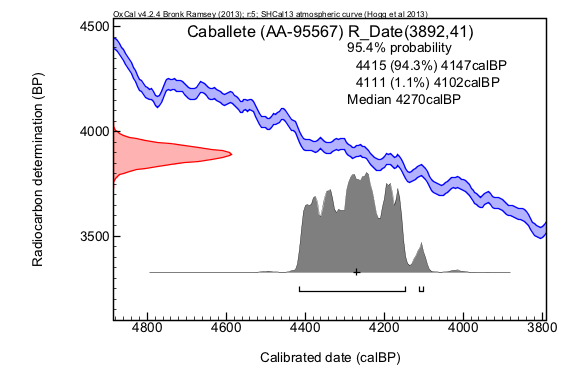 A pollen sample (Lab #689) collected from Operation V, Unit 11, Cuad M27, Feature 104, yielded 22 grains of maize pollen. 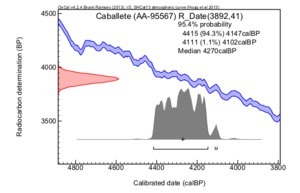 A radiocarbon date was obtained on a sample of sticks and wood from Feature 61 in the same Cuadrant, giving an closely associated indirect date for the pollen sample (Haas et al. 2013: Tables SI01 and SI02).